At Signs Visual, we make custom step and repeat vinyl banners and backdrop displays in New York City. Our step and repeat backdrops can be printed on matte / satin vinyl banner material that is anti-glare proof or printed on fabrics and canvas for a more texture effect. Step and Repeats are great for branding your corporate logos and sponsorship and are typically sized at 8 ft x 8 ft, 8 ft x 10 ft, or 8 ft x 20 ft. 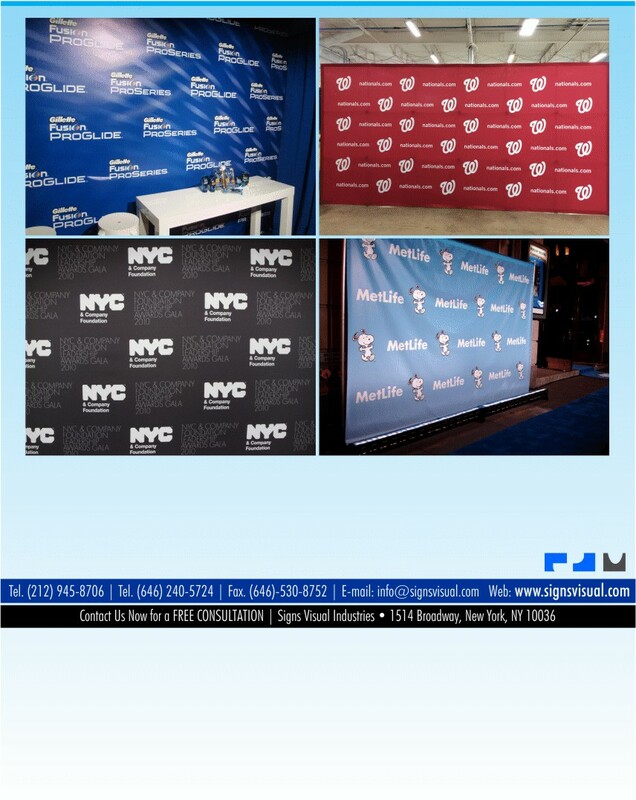 Contact us today for a free quote on your next step and repeat banner project in NYC!